You’ve got to hand it to the kangaroo. When it comes to travelling with the kids, it’s hard to beat the hands-free parenting style that comes from having a pouch. But with some careful planning and by taking advantage of the help available, there’s no reason why taking your clan on tour can’t be equally hassle-free. 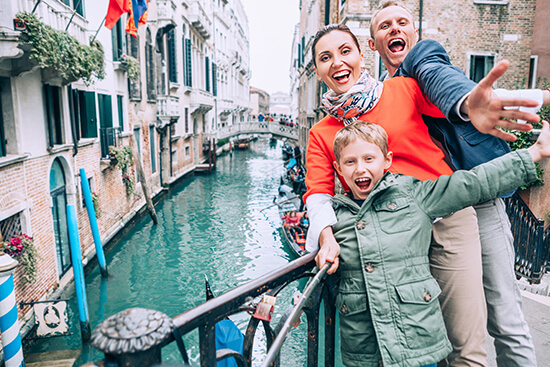 Choosing the right airline, hotel and room-type can make all the difference when it comes to finding family-friendly holidays. Not only is it worth checking with your travel agent whether a property can guarantee interconnecting rooms or what the bed configuration might be, if you have little ones, you should also ensure that the room comes with a bath and not just a shower. While they may not have much to contribute when it comes to the practical details, it’s still a great idea to involve your children when planning where to go on holiday and what you might do. Find out facts about the destination that your children will find interesting – the gorier the better! It will help build their anticipation and make them excited about the trip. While you’re away, have a ‘kids’ day every few days. They’ll love being able to set the itinerary – but be prepared to eat ice cream and swim all day! Crucially, don’t try to pack too much in or they’ll get tired and no one will be happy. The pace should be set by what your youngest child can handle and be mindful of your existing routine in terms of nap times and eating. When it comes to food, upgrading to an all-inclusive package can not only offer great value but also the kind of flexibility a family needs, allowing everyone to eat what they want – when they want. Many packages will have dedicated menus for kids, but check to see if they have a babysitting service to allow mum and dad to enjoy any fine dining options within the resort. It’s much easier now to find resorts that are either exclusively aimed at families or have facilities designed with every member of the family in mind. Dedicated children’s pools and kids’ clubs increasingly come as standard, but if your children range in age, find out what the hotel offers tweens, teenagers and young adults. Music clubs, karaoke and movie nights could help nip a sulk in the bud. Obviously, the most stressful part of a holiday can be getting there in the first place. However, even airlines are becoming more and more family friendly, so it pays to think about who you fly with. While the key to keeping children entertained onboard may be distracting them with a few of their favourite toys from home, having a helping hand available could really be invaluable. Carriers like Etihad now have ‘flying nannies’– cabin crew with additional training in childcare to offer parents some welcome respite mid-flight. Anything that helps you arrive with a few more of your nerves intact has got to be worth it. 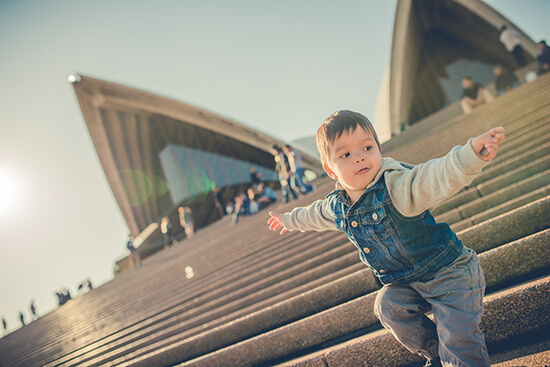 Because travelling with kids really shouldn’t be something that is seen as a burden. There are few things more life affirming than seeing this amazing and beautiful world anew through the wonder-filled eyes of young people. 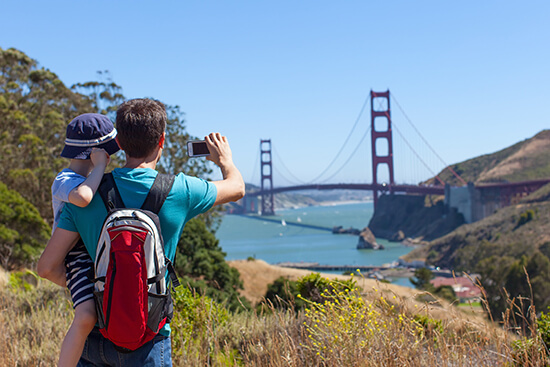 Planning your next family getaway? Make an appointment to chat with one of our Travel Experts in-store and they'll be able to find a trip that suits mum, dad and the kids.